Billy Niblo is quite the man these days, despite being gone since 1878 ! William Niblo, an early 19th-century coffee house owner and hotelier, transformed a square block on Broadway (in today’s Soho) into an open-air “pleasure garden” lit by hanging lanterns. Later renovations housed an ornate tavern and concert hall. Niblo used this theater to present P.T. 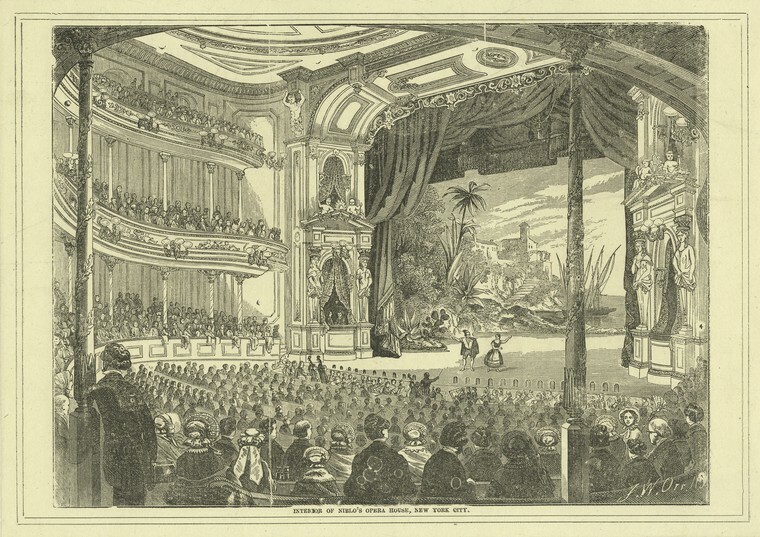 Barnum’s first exhibition as well as the premiere of Verdi’s Macbeth and the first so-called Broadway musical comedy. Benjamin Feldman is a scholar of 19th-century social history and biography and the author of two books and numerous journal articles; he blogs at newyorkwanderer.com.